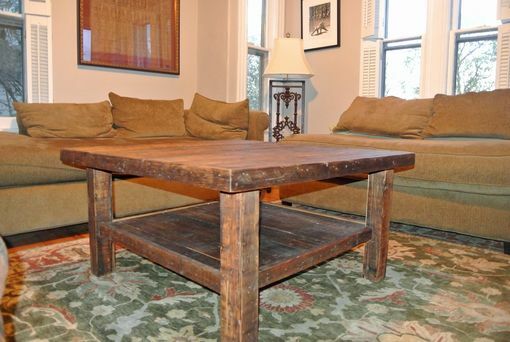 Commissioned to complement existing décor, this reclaimed wood coffee table is both functional and beautiful. 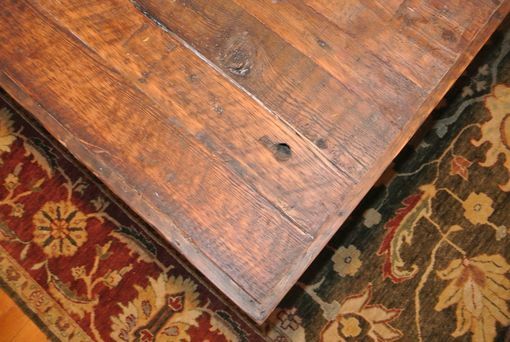 This simple design offers over 13 square feet of surface area, as well as a large storage shelf underneath that acts as the home to several family game night favorites. 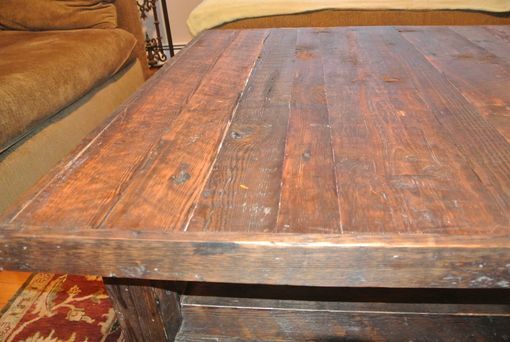 This rustic, yet sophisticated, piece was constructed using reclaimed Douglas Fir and was finished with a simple oil treatment to protect and enhance the natural characteristics of the wood.